Here is where you will find most of what you are looking for...But if you have any specific questions about our festival, be sure to check out the F.A.Q. 's page. in partnership with COMMUNITY OUTREACH INC.
Home Brew Sampling provided by FBI and Stafford Brewers Club. Sit down and hopefully learn how to brew your own beer at home!!! LIVE On the SAFFORD of FREDERICKSBURG Stage!!!
" Beer, it’s the best damn drink in the world! " Please support these LOCAL businesses!!! Want to be a Non-Food Vendor at the Spring Brewfest? Something For The Kids To Enjoy!!! What is a BrewFest and how does it work? Yes, a valid government issued identification is required for admission to the event. Do you have a Designated Driver Ticket program? How many drinks are included with the Designated Driver ticket? NO DRINKS are included with the Designated Driver ticket. You will receive a $5.00 voucher to be used for any food or drink purchase at our festival. Vendor applications are available on this website. Can my band play at the BrewFest? Maybe! Drop us a line. NO outside food and beverage will not be allowed into the event. After all, we are going to provide plenty of opportunities to try great food and drink while you are here! NOTE: Unopened bottled water and baby food are permitted. No. This is a keg event the ABC license prohibits sales for consumption off-site. Will there be other alcoholic beverages like wine or hard cider? Yes. There will be wine, bourbon and cider available. Yes and No! (Yes) beer sampling is included with the admission ticket purchased online or at the gate and (No) Food is purchased separately from our variety of vendors. Food prices typically range from about $4.00 to $10.00 depending on the item purchased. Do you accept credit card payments at the gate for admission to the festival? Yes, there will be one at the main gate as well as within the festival. Children 15 years of age and under accompanied by an adult are admitted free of charge. Yes, if you need to leave your car overnight it is okay. Better safe than sorry! Will there be UBER, LYFT or a local Taxi Company available at the event? Yes, we have alerted the local companies that our event is taking place. Yes, please feel free to bring bag chairs, blankets, and the like to set up and enjoy the bands. Please do not bring coolers though. Also, please be considerate of other festival goers when setting up – especially a tent. Rain? On a brewfest? NEVER! 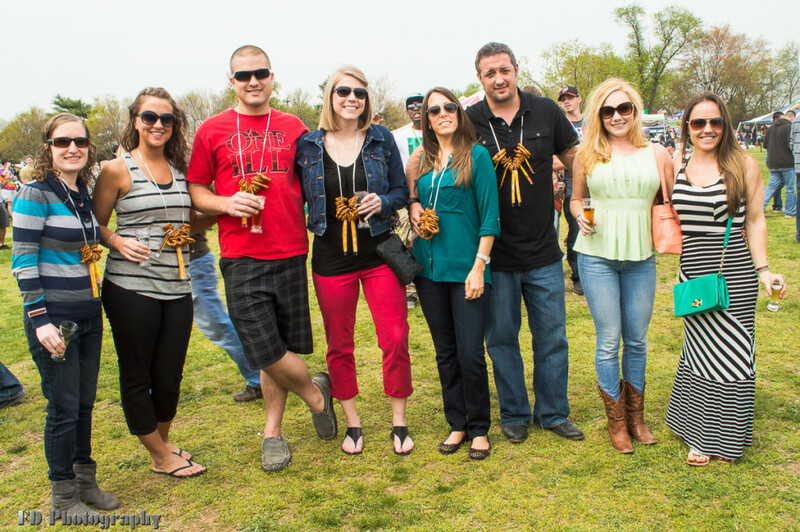 The Fredericksburg BrewFest is a rain or shine event. Working media will be admitted by presenting proper credentials at the Box Office. Media admission will not include beer sampling. Can I volunteer at the BrewFest? ABSOLUTELY! Drop us a line. ABSOLUTELY, discounted group tickets are available for groups of 20 or more and must be purchased at one time to qualify for Group Rate. Groups receive a 10% discount off the Advance Ticket Price. For more information Drop us a line. Have a question that we should add? Drop us a line. Our List Is Both LONG And DISTINGUISHED...Enjoy! The Fredericksburg Brewfest is proud to present Home Brew Sampling in support of one of America’s greatest traditions and pastimes. This portion of event is run by a local Brewing Clubs the FBI and the Stafford Brewer’s Club. Home Brew Sampling – You will be able to sample Home Brews from these amazing home brewers who have taken the time to brew up their favorite batch for you!!! Click on the info below for a printable list of the Brewers and their Beers! Designated Driver Tickets will be $10.00, and all DD’s will receive a $5.00 (no cash value) food / non-alcoholic beverage voucher to use at the festival. We would like to thank our 2019 Brewfest Sponsors!